Everything you want is waiting for you, simplistic luxury! 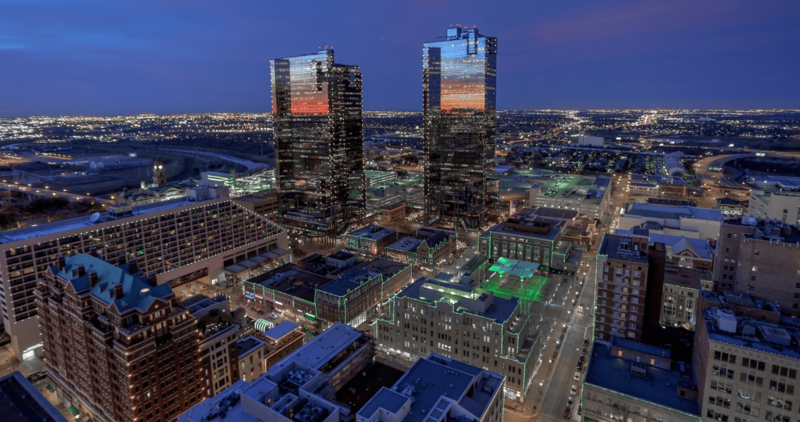 Optimally located downtown Fort Worth in historically registered, elegantly appointed The Neil P at Burnett Park. Highly desirable spacious one bedroom with study. Close to the elevators, pool, courtyard outdoor kitchen. Carpeted hallways, on-site management, secured fob access. Hardwood floors throughout, open living and dining areas, ample closets, gourmet style kitchen with stainless steel appliances, granite countertops, breakfast bar, stunning original windows, Levolor shades, custom glass shower enclosure, closet system, full size washer and dryer. Trane HVAC replaced in 2017. Reserved covered parking $171.66 month.